Above: 100% yes, you should vote! Above: your vote could change everything! How do I get a vote? 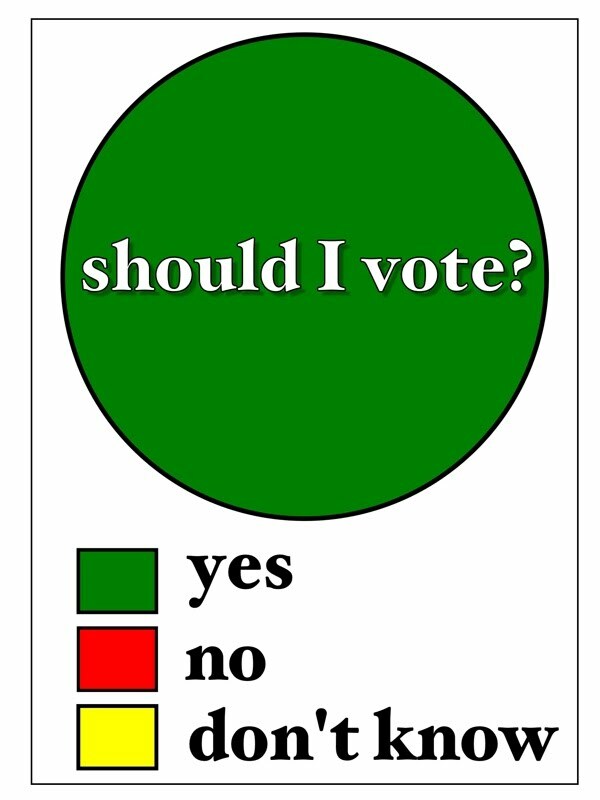 Can my vote make a difference? 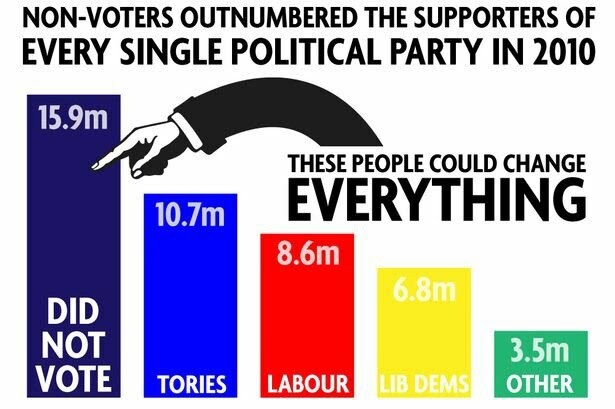 Oh yes, in 2010 non-voters outnumbered votes for every political party- if non voters vote this time round, they could change EVERYTHING. What if I don't like any of the candidates? Remember, you can't vote unless you're registered by midnight on Monday 20th April.